If you’re a Canadian that loves scrapbooking, you will love what our post is about today. Who doesn’t love finding unique and fun supplies that are not your typical Michael’s go to. All of us who love to scrapbook find pride in making something that we can really call our own. To do this, it does take quote a bit of research and trial and error. 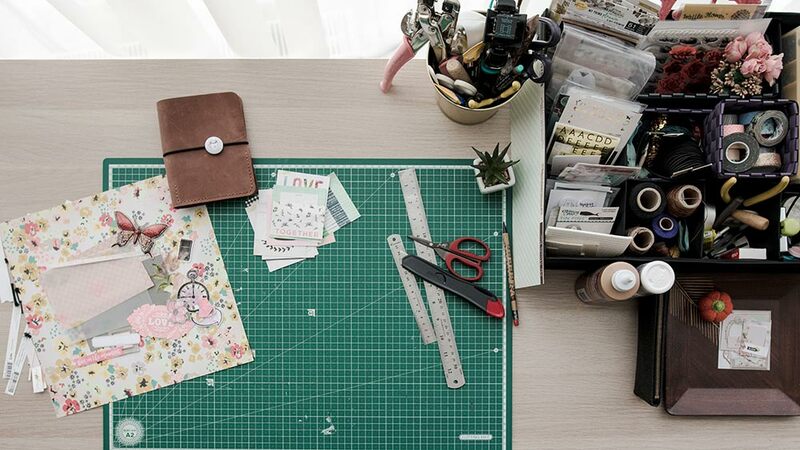 Some of our readers have chimed in and told us about a couple places in the U.S. that you can order scrapbooking supplies from. They are priced well and the customer service is A+. SnapnCrop – This site has EVERYTHING. Whether you’re a beginner or seasoned pro you will have lots of resources at your fingertips. If you’re a beginner you can gain inspiration from all the tips and tricks articles and videos the site has to offer. If you’re experienced you can dive into each category that is pleasantly laid out to navigate through to get exactly what you’re looking for. They even offer free shipping in the U.S. for orders over $100. This means you can ship to your border KinekPoint for free. If the order is between $100-$150 you will also be bringing the items across the border without any import fees as well with the new online shopping duty limit increase. Scrapyourtrip – This scrapbooking site fits it’s name to a tee. If you’ve travelled to a place you really want to remember to it’s fullest, then ScrapYourTrip.com has lots of resources to make the photos you took come to life. Their Disney section is very popular for families who’ve made memories there. If you have a favourite website in the U.S. for us Canadians to check out, please feel free to let us know in the comments! Need a US shipping address?